Justin Farrell is a professor and author at Yale University. He studies environment, elites, rural inequality, and social movements using a mixture of methods from large-scale computational text analysis, qualitative & ethnographic fieldwork, network science, and machine learning. His research has been published by Princeton University Press, the Proceedings of the National Academy of Sciences, Nature Climate Change, the American Sociological Review, Social Problems, among others, and funded by the Environmental Protection Agency and the National Science Foundation. His books and articles have won national awards from the American Sociological Association, American Library Association, used on the floor of the U.S. Senate, and covered by major media outlets such as The Economist, Washington Post, HBO, WIRED, Bloomberg, and the Financial Times. In his GIDEST seminar, Alexander Galloway asks “What does it mean to talk about digital media?” Digital aesthetics, he argues, can refer to the medium of the digital, that is, all the tools and technologies that populate contemporary life. At the same time, digital aesthetics can refer to context, that is, a digital context or a net condition—the latter being the title of an influential 1999 net art exhibition at the ZKM in Karlsruhe. Artists have their own particular ideas about digital aesthetics as do computer scientists, and sometimes these ideas overlap and sometimes they don’t. Can digitality be beautiful? It depends on many complicated things, not least of them the definitions of digitality and beauty. Alex’s GIDEST presentation will explore digital aesthetics through an examination of the materiality of contemporary media in the hopes of answering the question: what kind of medium is the computer? Alexander R. Galloway is a writer and computer programer working on issues in philosophy, technology, and theories of mediation. A professor of Media, Culture, and Communication at NYU, he is the author of several books on digital media and critical theory, including The Interface Effect (Polity, 2012), Laruelle: Against the Digital (2014), and, with Eugene Thacker and MacKenzie Wark, Excommunication: Three Inquiries in Media and Mediation (2013), which forms part of his Allegories of Control trilogy, along with Protocol: How Control Exists After Decentralization (2004) and Gaming: Essays on Algorithmic Culture (2006) . 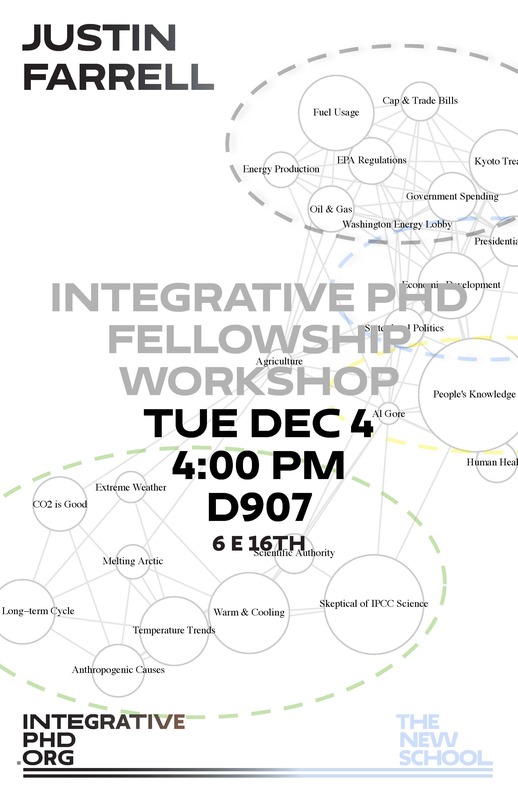 This event is co-sponsored with the Integrative PhD Fellowship Program. Where do good design ideas come from? Recent research in neuroscience sheds light on this perennial question. A level of neuronal processing inaccessible to consciousness excels in fast information processing, recognizing complex patterns, and drawing inferences: the cognitive nonconscious. This talk will present a synthesis of these results along with speculations about the sources of creativity in design and related fields. N. Katherine Hayles (Author and Director) teaches and writes on the relations of literature, science and technology in the 20th and 21st centuries. Her print book, How We Think: Digital Media and Contemporary Technogenesis, was published by the University of Chicago Press in spring 2012. Her other books include How We Became Posthuman: Virtual Bodies in Cybernetics, Literature and Informatics, which won the Rene Wellek Prize for the Best Book in Literary Theory for 1998-99, and Writing Machines, which won the Suzanne Langer Award for Outstanding Scholarship. She is Professor and Director of Graduate Studies in the Program in Literature at Duke University, and Distinguished Professor Emerita at the University of California, Los Angeles. The relationship between knowledge and visual forms has changed as tools and platforms used for data display, discovery, and modeling have become ubiquitous. These practices raise basic questions about the nature of visual epistemology—whether it is a primary, secondary, or tertiary form of knowledge. This talk addresses some of the ways these practices and the assumptions on which they are based raise concerns for work in the humanities, broadly considered. Current projects in computational and digital scholarship form one set of focus points for this talk, but the argument stresses conceptual continuities between analog and digital practices in order to call attention to the particular features of computational work in information visualization. At stake are questions of cultural authority and the politics of representation as well as issues in the status of visuality as they relate to future research. Johanna Drucker is the inaugural Breslauer Professor of Bibliographical Studies in the Department of Information Studies at UCLA. She is internationally known for her work in the history of graphic design, typography, experimental poetry, fine art, and digital humanities. In addition, she has a reputation as a book artist, and her limited edition works are in special collections and libraries worldwide. Her most recent titles include SpecLab: Digital Aesthetics and Speculative Computing (Chicago, 2009), and Graphic Design History: A Critical Guide (Pearson, 2008, 2nd edition late 2012). She is currently working on a database memoire, ALL, the online Museum of Writing in collaboration with University College London and King’s College, and a letterpress project titled Stochastic Poetics. A collaboratively written work, Digital_Humanities, with Jeffrey Schnapp, Todd Presner, Peter Lunenfeld, and Anne Burdick is forthcoming from MIT Press. Kieran Healy informally examines how social science, and especially sociology, has been affected by the rise of social media. New social media platforms disintermediate communication, make people more visible, and encourage public life to be measured. They tend to move the discipline from a situation where some people self-consciously do “public sociology” to one where most sociologists unselfconsciously do sociology in public. Healy discusses the character of such “latently public” work, the role of data and data visualization in it, and the opportunities and difficulties it creates. Kieran Healy is Associate Professor in Sociology and the Kenan Institute for Ethics at Duke University. His research focuses on the moral order of market societies. In particular he is interested in the relationship between measurement and social classification, and the link between them in markets for things ranging from human organs to consumer credit. He also works on techniques and methods for data visualization, and problems in social theory. The methods and practices of the humanities and humanistic social science disciplines have the power to transform our understanding of information and computation, while computational methods and quantitative approaches now offer new paths for inquiry in these disciplines. This talk will show how. Examples drawn from work at the intersection of information science and humanistic text-based study will act as touchstones for a series of key questions in this emerging area. How can we grapple with the questions of scale raised by access to large digitized and born-digital corpora? How is our thinking about standards of evidence enriched by the encounter between longstanding models of evidence in the humanities and qualitative social sciences and the assumptions and affordances of computational methods and quantitative approaches? How are ideas about the representation and transformation of text being refreshed by theories and practices of algorithmic transformation? And what new histories and models of knowledge production do we need in order to contextualize this kind of work within our disciplinary and interdisciplinary knowledge worlds? Rachel Sagner Buurma is an associate professor in the Department of English Literature at Swarthmore College. She works on eighteenth- and nineteenth-century literature and print culture, the history of the novel, twentieth-century Anglo-American literary criticism, and contemporary North American literature. Right now she is especially interested in the history and theory of literary research (especially practices of knowledge organization like indexing, excerpting, and note-taking), pasts and and presents of collaborative work, and the intersection of literary-critical inquiry and information science. 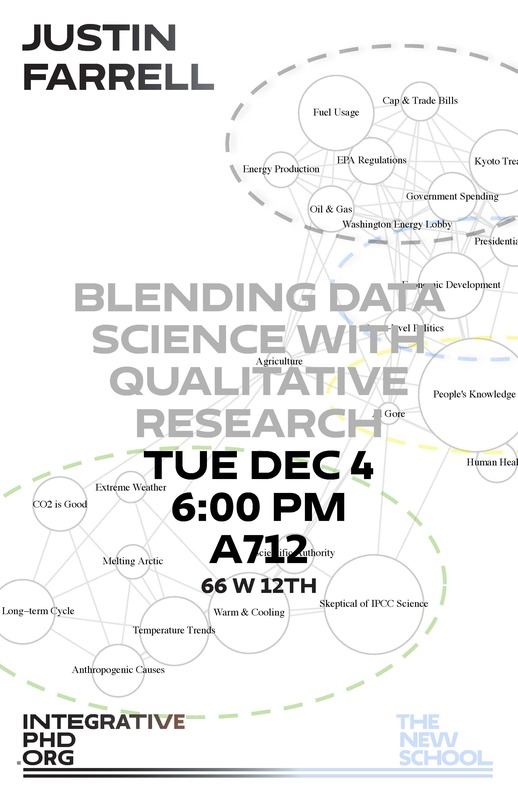 This workshop will offer an informal introduction to some of the new methods of “distant reading” currently available across digital humanities and humanistic social sciences, along with a discussion about how one begins to employ them in research projects of various scales. We will focus on practical questions, including: How does one find time in graduate school to develop expertise in traditional disciplinary methods while also learning to borrow from the methods of other disciplines? In a context in which new digital tools, computational methods, and programming languages seem to emerge every day, how to you make decisions about what to learn? What are the different kinds of opportunities available to learn about and learn to use these methods? And – perhaps most crucially – how can you develop the kinds of inter- and intra- institutional and interpersonal connections this work can require? How do you discover what potential collaborators in other disciplines and/or institutions will find valuable about your own expertise and disciplinary methods? How do you connect with such collaborators, and how do you create the basis for successful collaborations? How do you learn to speak the language of another discipline well enough to find collaborators and to successfully complete a project?